Audible, an audiobooks service owned by Amazon, pushed a major update to its iPhone and iPad application this morning which added CarPlay functionality along with a couple nice-to-have improvements in the app’s iOS edition. After downloading today’s update, the Audible app will automatically appear on the dashboard of CarPlay-enabled vehicles and those supporting CarPlay via aftermarket solutions from Pioneer, Alpine and other companies. 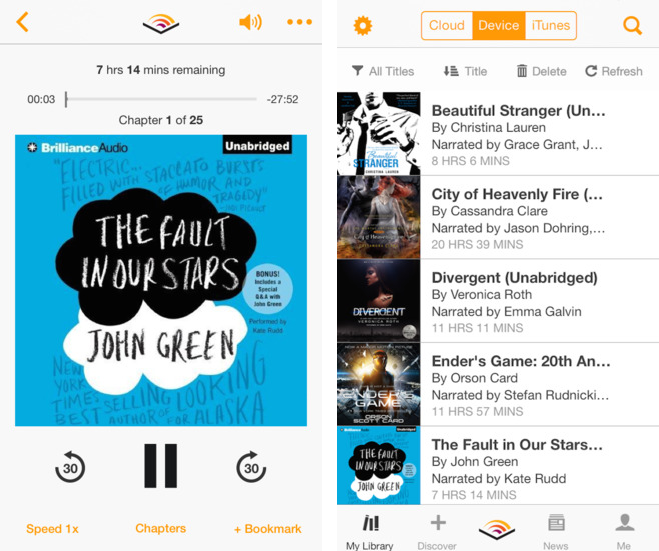 Other changes in this release of Audible include a revamped Discover on both the iPhone and iPad, now grid-based, in addition to a new tab bar on the iPhone that provides access to settings and other features, the corrected icons on Audible’s buttons found on the Lock screen and in Control Center, a Reset Timer option and more. 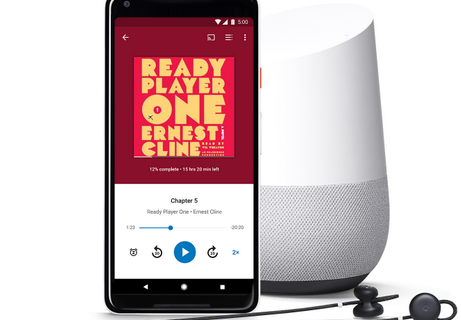 CarPlay is now available for Audible. Lock Screen/Control Center – Previously, the Lock Screen/Control Center buttons were always chapter forward/back, even if your settings were for 30-second forward/back. Now, your lock screen/Control Center will feature the correct icons. Sleep Timer – There is now a “Reset Timer” option after the sleep timer ends, reducing the number of taps from 4 to 2. Sleep Timer – The fade-out returns. Discover – On iPhone, we’ve updated the visual design by removing the dark overlay and going to a grid. Discover – On iPad, we’ve replaced “Discover” with a true browse experience (it used to just be search). It should now mirror the iPhone version. 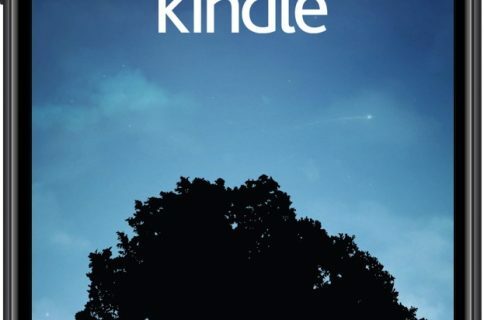 When you sample a book from a book detail page in “Discover” or search, it now plays in the player. This allows you to leave the detail page and still listen to the sample. New Tab Bar – We moved Settings into the main navigation and created an overflow menu (on iPhone) for the items that no longer fit on the main tab. The 72-megabyte universal app requires an iPhone, iPod touch or iPad with iOS 7.0 or later. The Apple Watch is not support in this release. 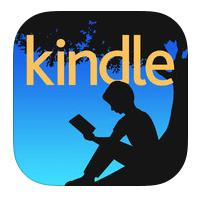 Grab Audible at no charge in the App Store.